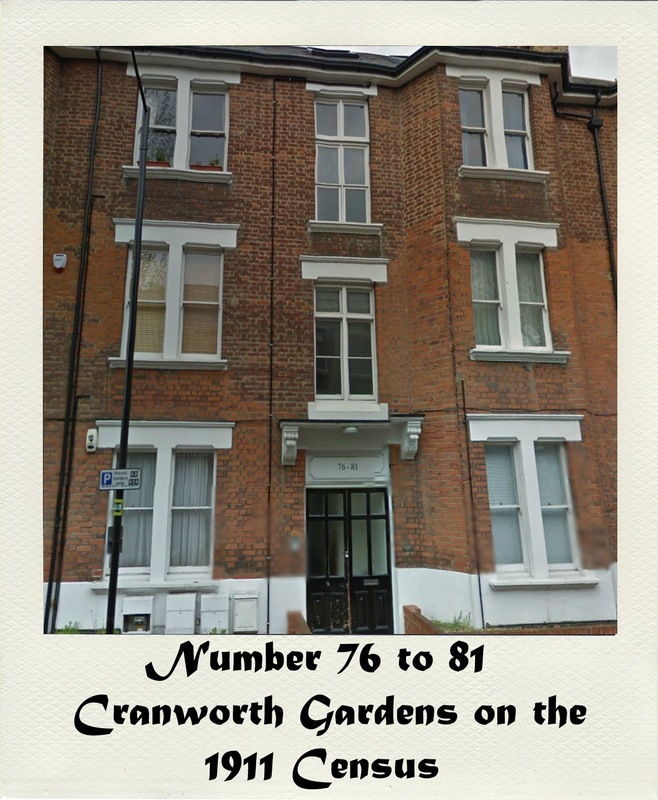 The original building that was 76 to 81 Cranworth Gardens was destroyed in a bomb hit in WW2. The block was rebuilt in 1947 so the list below is of the 1911 occupants of the original building. The occupants of flat 77 were missing from the Census. The occupants of flat 78 were missing from the Census. The occupants of flat 79 were missing from the Census.